This question is the second practice problem in the 4th series of Meaning based problems. Correct and best explanation will get a Kudos from us and a free subscription for 1 month to our[highlight]OG Verbal 2 solutions for Sentence Correction[/highlight]. OG Verbal 2 solutions contain solutions to all SC questions using e-GMAT 3 step process- amounting to 14 hrs of audio visual content. The rise in American exports was possible because international trade barriers were lowered and unprecedented gains in efficiency had been obtained through the use of automated robotic equipment in American manufacturing plants. Originally posted by egmat on 03 Jan 2012, 11:13. Last edited by egmat on 04 Jan 2012, 14:42, edited 1 time in total. I would like to see a few more attempts WITH DETAILED ANALYSIS before I post the official answer! @jitbec - Congratulations. You win the OG Verbal review Solutions access for 1 month. Accurate and to the point analysis! 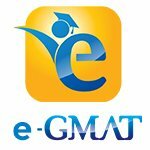 Send me a PM with your e-GMAT user id information so that we can upgrade your account. •	unprecedented gains in efficiency were obtained. This was done through the use of automated robotic equipment in US plants. All SV pairs are accounted for and agree in number. This sentence has verb tense error. Logically there is no reason to indicate one of the causes in simple past tense and the other cause in past perfect tense. There is no basis for such sequencing. Thus the verb – had been obtained – should be expressed as ‘were obtained’. Choice B – Grammatically Correct but Incorrect Choice – By changing the causes from passive voice to active voice, this choice adds information that is not present in the original choice. It is not stated that America lowered the international trade barriers. Thus, this choice is incorrect. Choice C – Correct choice. The verb tense error has been corrected. Choice D – This choice distorts the intended meaning. It links the two rather independent tasks in causal relationship. Per this choice, the international trade barriers were lowered and this led to achieving gains in efficiency through use of automatic equipment. This is neither logical nor the intended meaning. Choice E – Grammatically Correct but Incorrect Choice – This choice repeats the error in Choice B. It further changes the intended meaning by using “unprecedented” to describe “automated robotic equipment” instead of “efficiency gains”. 1. Always understand the intended meaning of the original sentence. 2. It is very important to note ALL the information present in the sentence. 3. The correct choice should communicate ALL that information – no more and no less – in a grammatically correct manner. I have a small doubt. Are the sentences B (America lowered international trade barriers and the use of automated robotic equipment in American manufacturing plants) and E(America lowered trade barriers internationally and the use of unprecedented automated robotic equipment in American manufacturing plants) grammatically parallel? looking at the sentence in the below format, im little confused. isnt it possible that (2) has happened in time before that of (1)? Such that 1 (happening at presnt) and 2 (happened before 1) is causing the rise in american exports? jitbec - Congratulations. You win the OG Verbal review Solutions access for 1 month. Accurate and to the point analysis! Send me a PM with your e-GMAT user id information so that we can upgrade your account. If we do not specify who or how the international trade barriers were lowered, will it not be a case of dangling modifier? Can we use past perfect for the causes ? correct answer is C because international trade barriers were lowered and unprecedented gains in efficiency were obtained written correctly.